FLAT $5 Shipping for any orders for garments and/or accessories in the continental United States!!! Welcome to SoftSew Embroidery Garments and Accessories, where home embroidery enthusiasts are able to purchase professional-quality blanks to embroider! You get a wide variety of colors, styles, and sizes here for you to purchase! In addition, if you are not able to find an item that you are looking for (sweatshirts, bags, t-shirts, etc. ), we will custom order items. You can check to see what items are available by clicking here: Items Available for Custom Order. Sizing information is listed below for all Port Authority™ garments. For information (a PDF file) on how to measure shirts see: Measuring Shirts. Note that for most items below, you can download a specification sheet, giving you exact dimensions. Please verify that the size is correct! Designer Notes: Garment washed, which adds softness and gives each shirt a unique appearance; a classic American favorite at an exceptional price. The ink blue color is a great new addition! 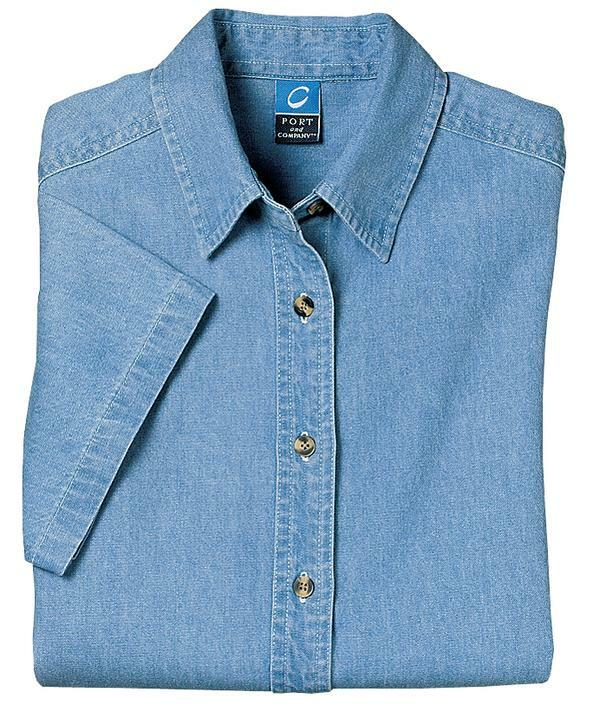 Fabric/Style: 6.5-ounce, 100% cotton denim, garment washed; generous cut, double needle stitched, tuck-in tail, button-down collar, horn tone buttons; patch pocket, button-through sleeve plackets and adjustable cuffs. Buy 4 or more shirts and get $2 off each shirt! 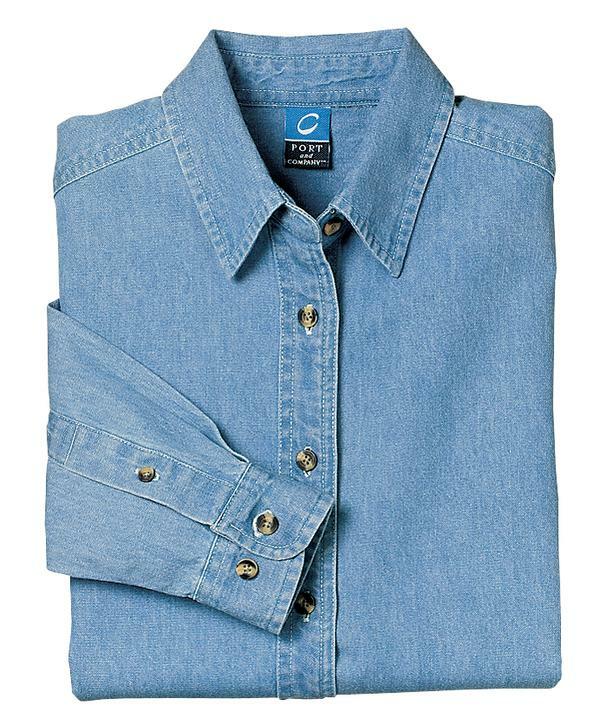 Designer Notes: An affordable denim option with a flattering fit for ladies. Note that there is no pocket on this shirt. 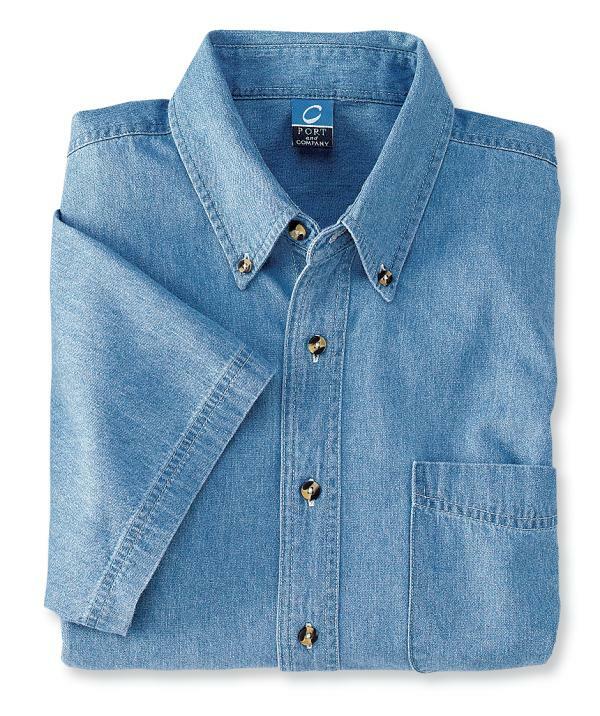 Fabric/Style: 6.5-ounce, 100% cotton denim, garment washed*; open collar, double needle stitching horn tone buttons, adjustable cuffs and button-through sleeve plackets. 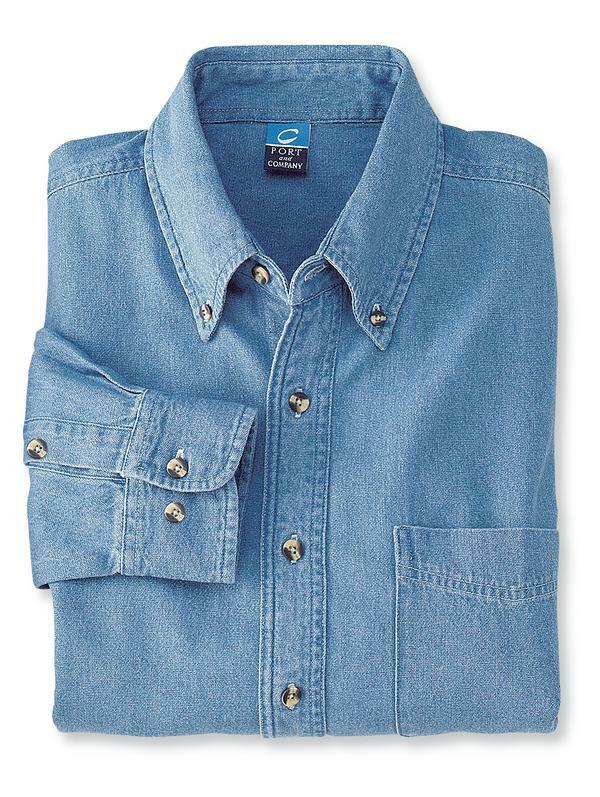 Fabric/Style: 6.5-ounce, 100% cotton denim, garment washed*; open collar, double needle stitching horn tone buttons. Fabric/Style: 100% cotton with Teflon finish for added protection; 3 pouch pockets, 1 pen pocket, 1" wide neck and waist ties, adjustable neck strap. 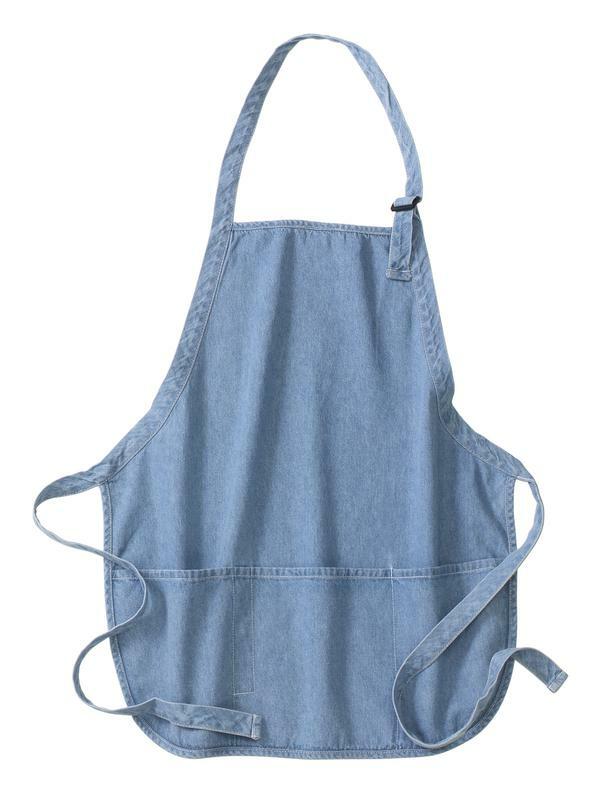 This apron is a great way to stay clean while gardening or doing any projects. Measures 22"w x 24"l.
Fabric/Style: 100% cotton with Teflon finish for added protection; 2 waist level patch pockets with 1 pen pocket, 1" wide neck and waist ties, and adjustable neck strap. Whether it's put to use in a restaurant or home, this apron will always help keep you clean. Measures 22"w x 30"l.
Fabric/Style: Incredible value in a 13.5-ounce, 100% polyester fleece blanket. Dyed to match whipstitched edge guards against fraying. Measures 50" x 60" flat. If you have any questions, please contact us directly! Also, if you are not able to find an item here, you may check to see if it might be available as a custom order item by clicking here: Follow the instructions for custom orders. Thank you and have fun! Your bust measurement: Measure at fullest point of bust. Your waist measurement: Measure around waist at the height you normally wear your pants. Your inseam measurement: Measure from crotch seam to bottom of pants.